On Monday, January 30, the Boy Scouts of America released a historic and heartening announcement: transgender children who identify as boys are officially welcomed into their ranks. According to the AP, the organization will now determine enrollment in boys-only programs according to the gender specified on an application. Previously, the Boy Scouts of America only made admission decisions based on the sexual designation on an applicant’s birth certificate. One of the organization’s spokespeople, Rebecca Rausch, explained to the AP that this move towards inclusivity was in part motivated by a recent controversy in Secaucus, New Jersey. An eight-year-old boy was urged to leave his troop after its leaders, and parents of other members, learned that he was transgender. That decision has been reversed. 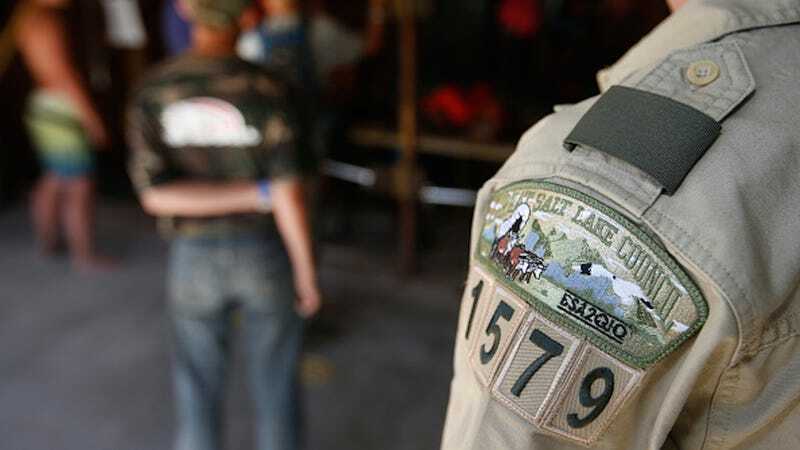 “‘For more than 100 years, the Boy Scouts﻿ of America, along with schools, youth sports, and other youth organizations, have ultimately deferred to the information on an individual’s birth certificate to determine eligibility for our single-gender programs,’ the statement said. ‘However, that approach is no longer sufficient as communities and state laws are interpreting gender identity differently, and these laws vary widely from state to state. Not even two years ago, in July 2015, the Boy Scouts of America halted a ban on gay troop leaders and employees. And as of today, the policy to enroll transgender children goes into effect. The progress has been slow, but this decision is a meaningful one. Let’s hope it is implemented effectively.